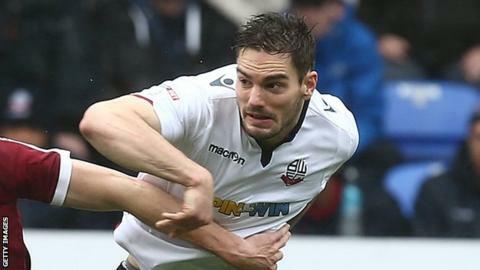 Defender Dorian Dervite has signed a new one-year contract with Bolton. Dervite, 28, made 14 appearances last season to help Wanderers finish second in League One and secure promotion. The French centre-back joined Bolton from Charlton in 2014 and has made 83 appearances in all competitions. "Dorian was a bit of a forgotten man last year but came in and made an excellent contribution towards the end of the campaign," manager Phil Parkinson told the club website. Dervite follows David Wheater, Gary Madine and Jem Karacan in signing new contracts with Bolton, following their promotion to the Championship.